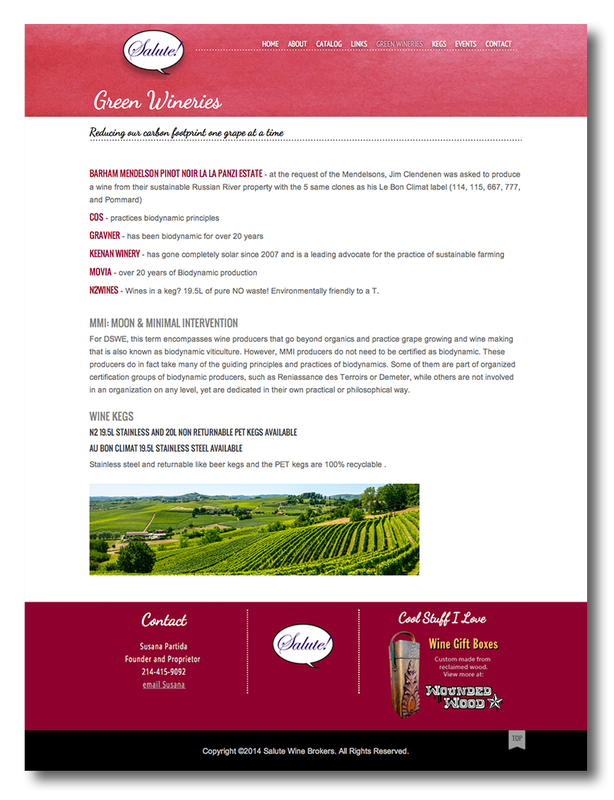 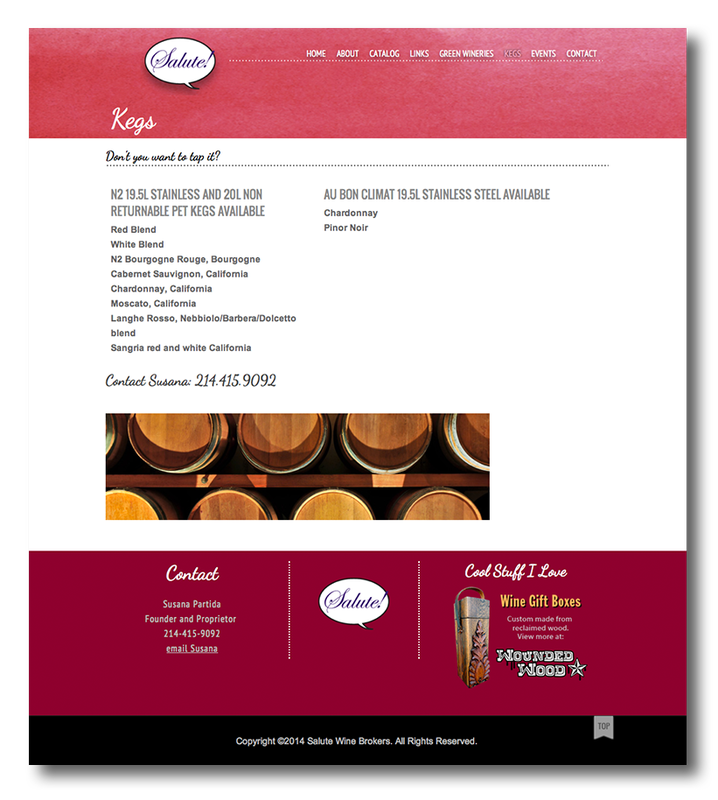 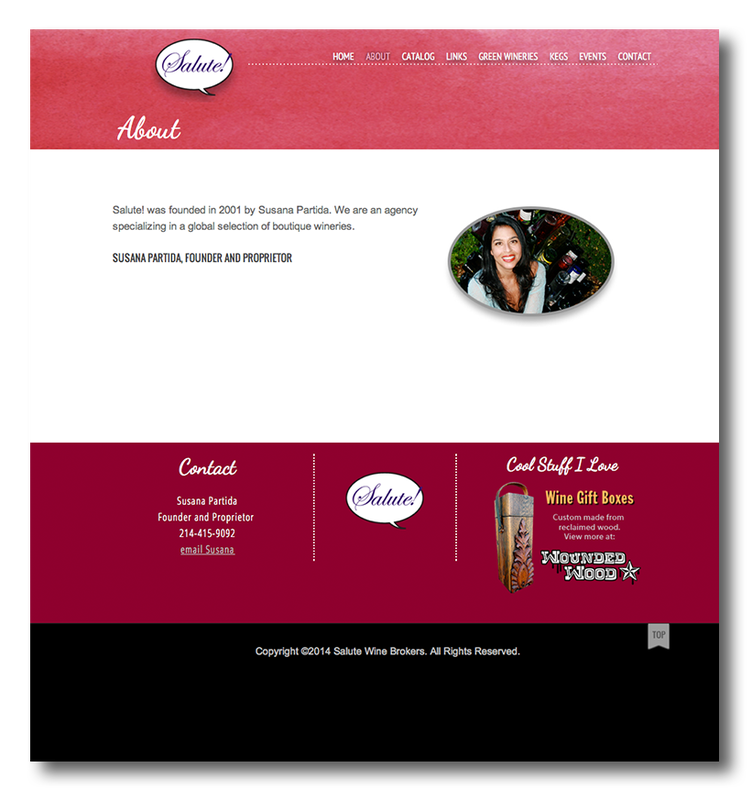 SALUTE WINE BROKER owner Susana wanted to freshen up her old website. 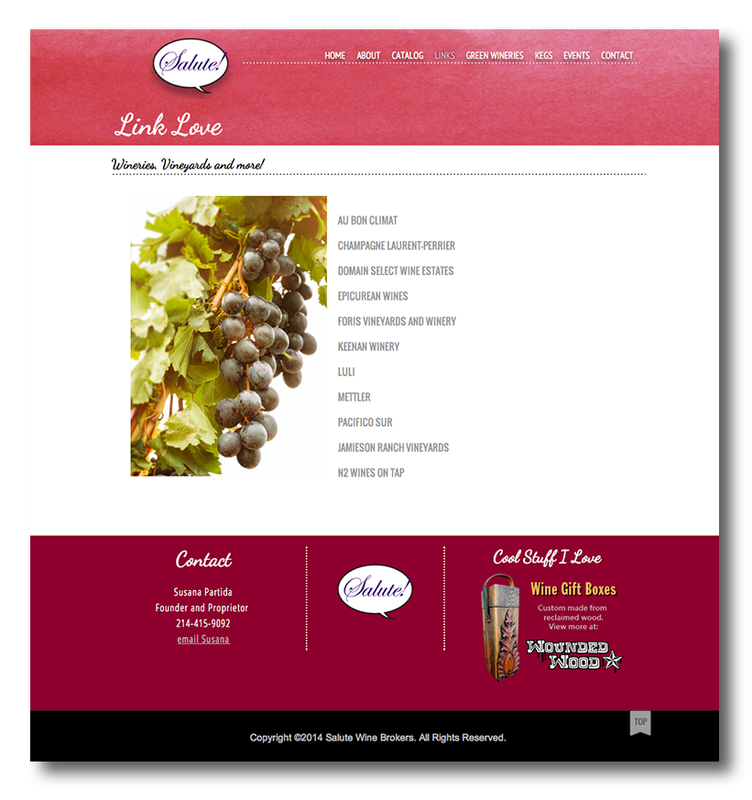 She was looking for something crisp, approachable and modern. 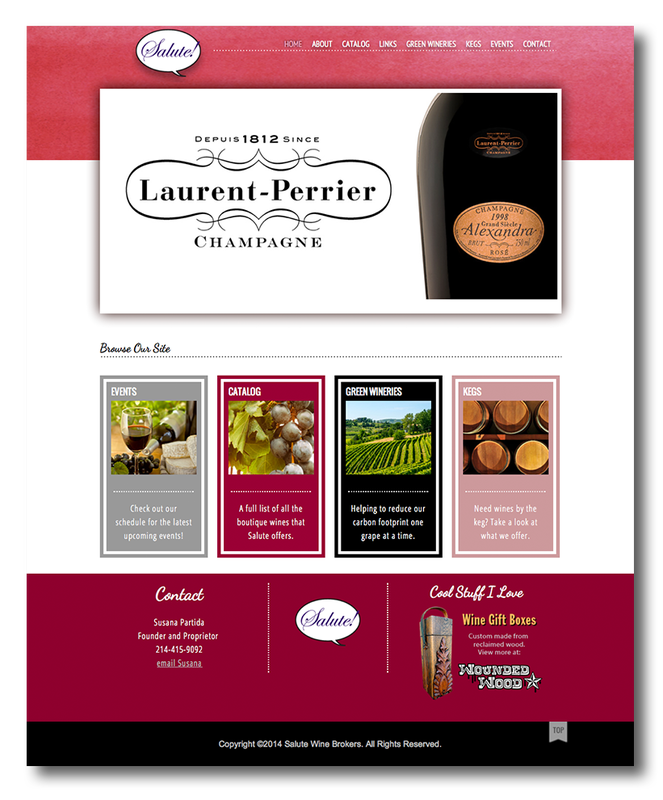 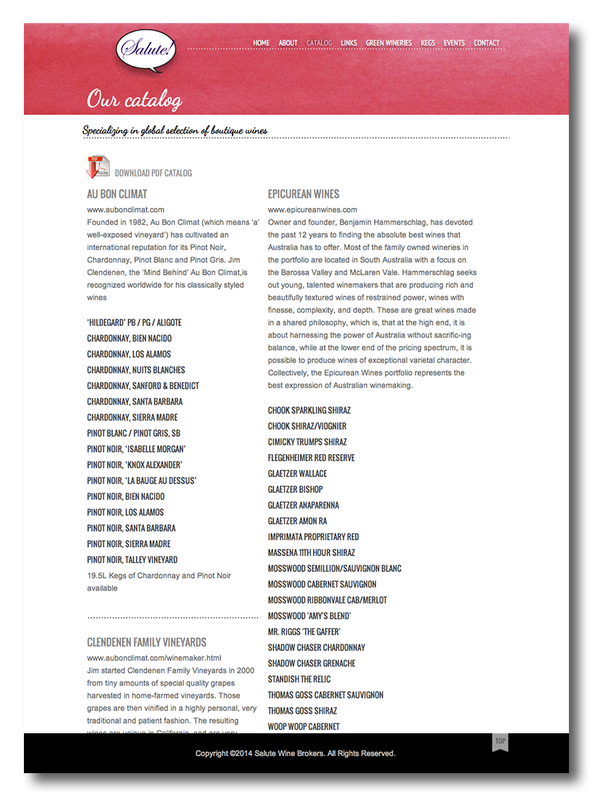 Since she had an extensive wine catalogue, the information needed to be easy to navigate.